Hope everyone is having a good summer and that you are finding ways to beat the heat. Summertime on the University of Illinois campus is usually a quiet one, with the exception of the occasional basketball or music camp that will draw the youngsters onto the premises. For the life of a U of I athlete, it means pretty much being on campus year round to work on some facet of training. This is evident now as the football players are beginning conditioning drills and starting to be seen in and around the stadium area of campus. Believe it or not, but we are only about a little over a month away from the start of Camp Rantoul and Coach Ron Zook's 5th season as coach of the Fighting Illini. Leading the charge for the Illini will be senior quarterback Juice Williams, who hopes to continue his brilliant career and go out much better than last season. He will have a stable of receivers to throw the ball to, led by Arrelious "Regus" Benn, a junior that more than likely will end his Illini career at the end of the upcoming season. Benn is the real deal, and was as good as advertised when he came west from Washington D.C. two seasons ago. A player that has been on campus for a little while but set to make his debut this season for the Illini is Jarred Fayson, a transfer from Florida. Fayson had to sit out last season due to the transfer rules, but all indications from watching him practice show that he can get up and down the field as well as anybody that has ever worn the orange and blue. Also back for the Illini are Chris Duvalt and Chris James, as well as A. J. Jenkins. So, you see, speed from the receivers will not be a problem. But what if Juice struggles, you say? Will Zook go to his backup of last season Eddie McGee? Or will he go further down the line and grab Jacob Charest? Still another option is incoming freshman Nathan Scheelhaase, who looks to be the heir apparent to Williams after he graduates next spring. Whatever decision is made if this occurs, one thing is sure; Zook has plenty of horses in the barn to work with. A big loss for the Illini was on defense, when Vontae Davis left school early, as expected, to enter the NFL draft. Davis leaves a huge hole in the secondary, where his explosive play led to many tackles in 2008. Hopefully some of the returning players can step up in Davis' absence, or perhaps a couple of the incoming freshmen can step up into the limelight in the early stages. 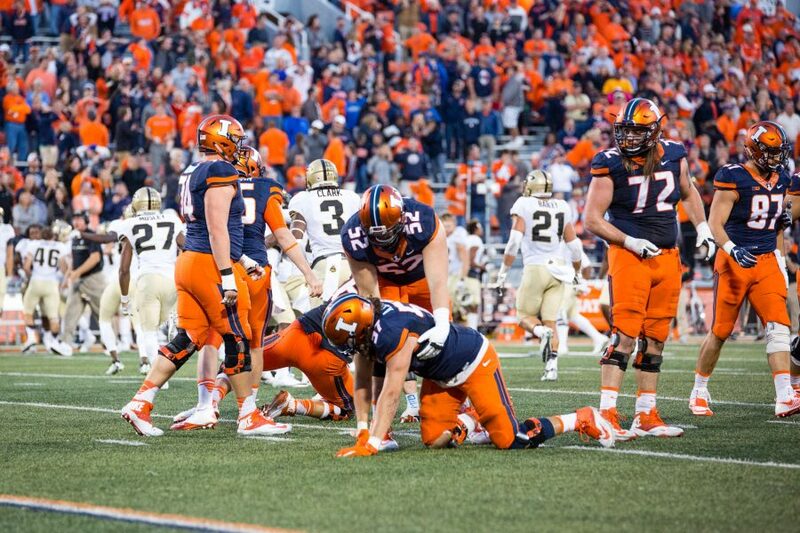 The Illini want to erase the frustration of a 5-7 season, just 1 season removed from a Rose Bowl appearance. The seniors, Williams included, want nothing more than to get to another bowl game before they leave Illinois. The Big Ten football media days will be held on July 27 and 28 at the Hyatt Regancy in downtown Chicago. For the first time, I will be attending the event, and hope to get a much better sense of what the Illini will be like, as well as all of the other teams in the conference. I will have a full recap of the happenings in Chicago, as well as the status of the team as they head into the final month before Camp Rantoul. For you tech savvy fans out there, I am also on twitter. I can be reached at www.twitter.com/illiniguy1063 and I welcome any and all comments about anything Illini.